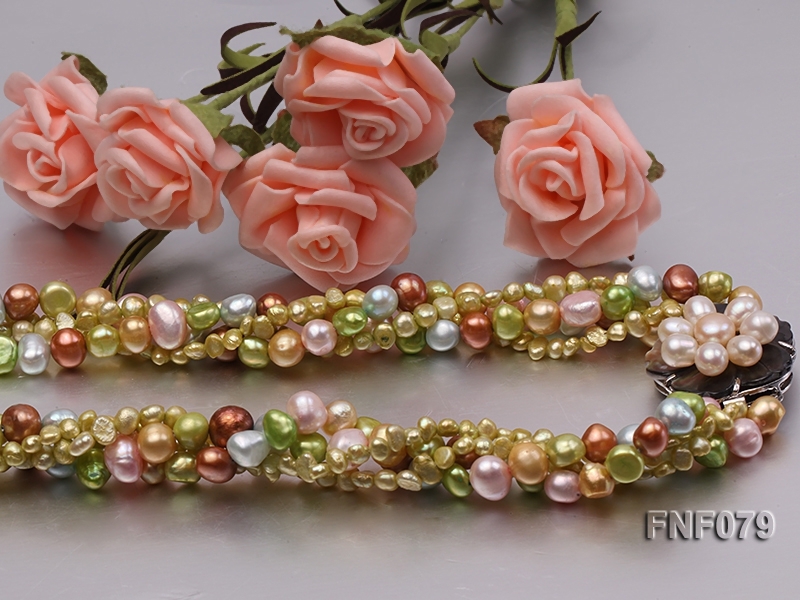 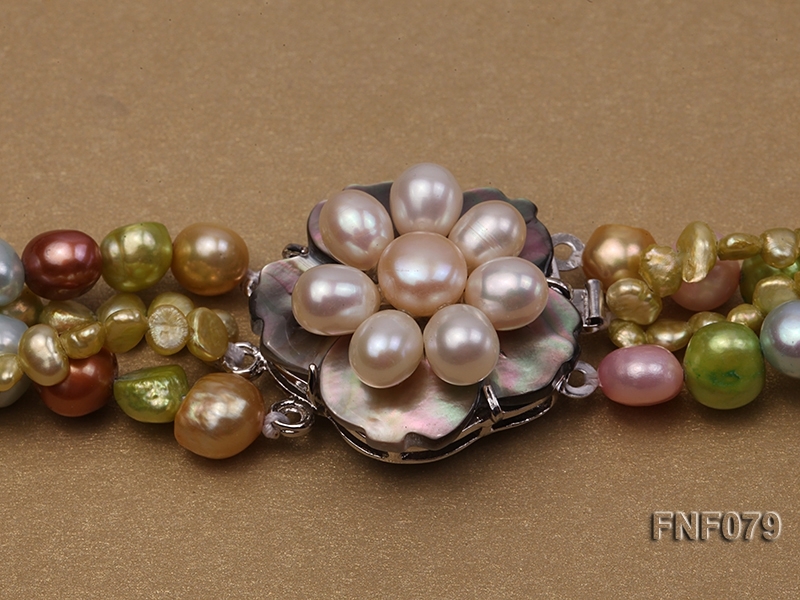 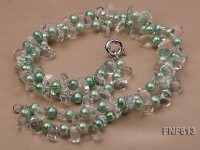 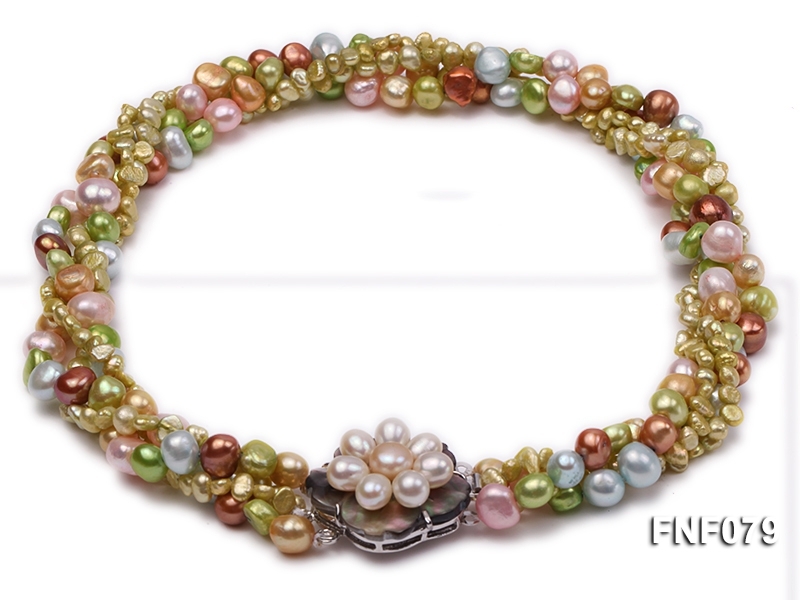 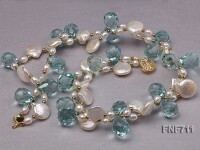 Pretty four-strand necklace made of 6-10mm green, pink, blue yellow and brown cultured freshwater pearls. 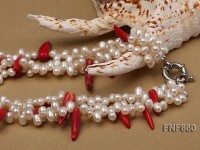 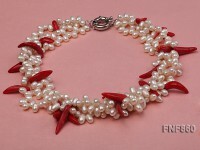 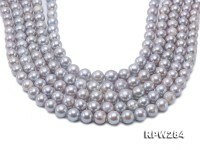 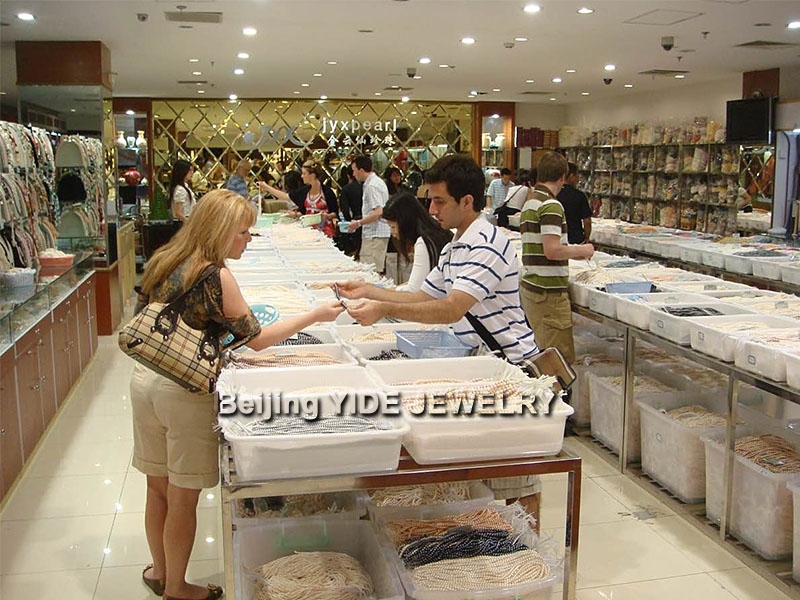 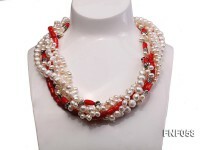 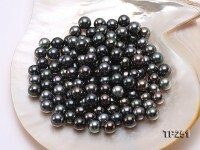 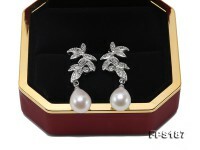 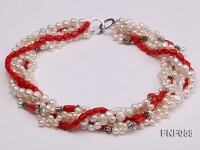 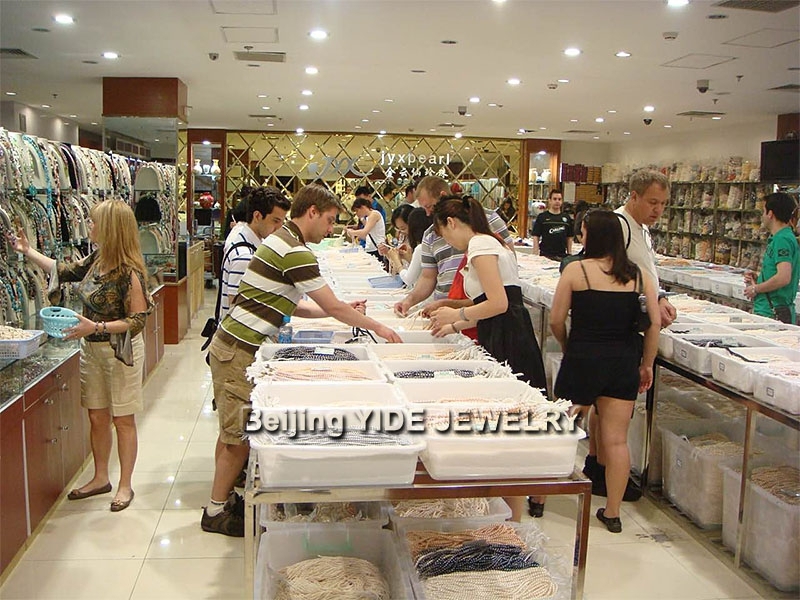 The necklace has a length of 16.5 inches and is ended with a seashell flower clasp. 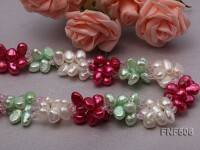 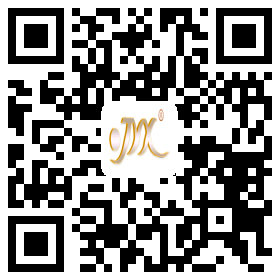 This necklace is newly designed and has very beautiful colors.